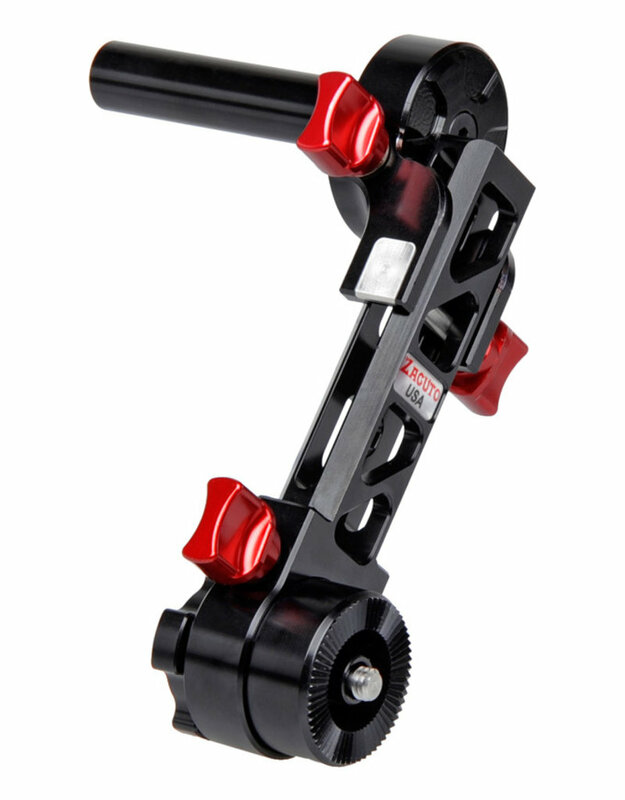 The Zacuto C100 Mark II Rig with Dual Grips - Gratical HD Bundle provides dual 360° rotating handgrips for secure shoulder-mounted operating and the Gratical HD Micro OLED EVF for pro-style viewing with your Canon C100 Mark II camera. 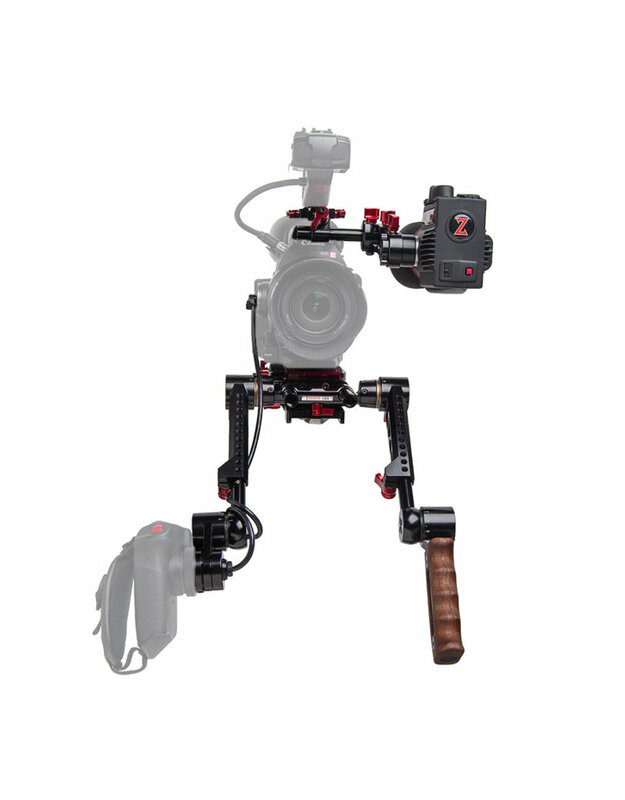 This rig also includes the Axis Mini EVF mount, the VCT Pro baseplate, and the C100 Mark II Helmet for mounting accessories. 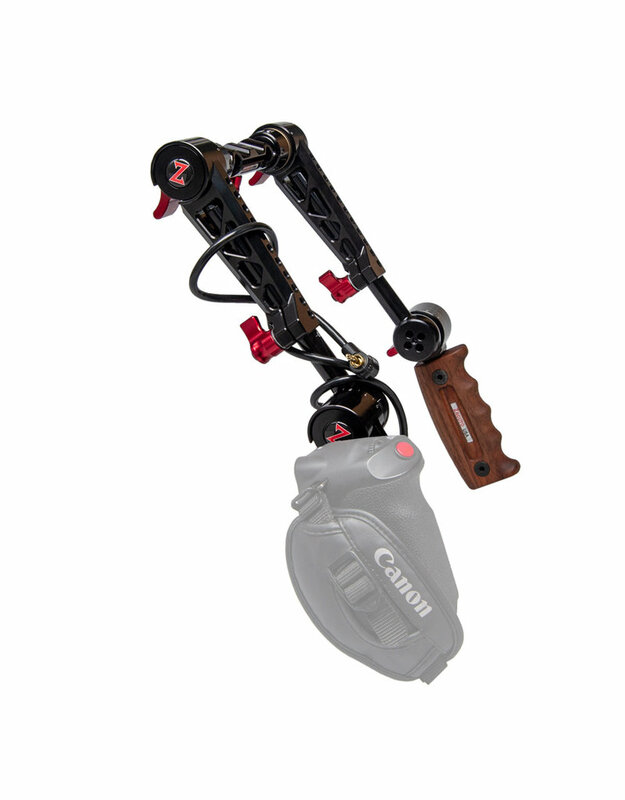 The C100 Mark II EVF Recoil with Dual Trigger Grips kit from Zacuto provides a comfortable shoulder-mounted rig with a dual, 360° rotating handgrip system. 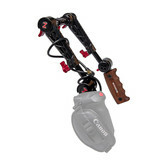 Kit components include a VCT Pro baseplate and the Dual Trigger Grips. 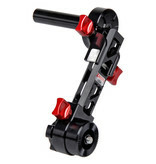 Use the included C100 Mark II Helmet to attach accessories via Z-rail, a single 15mm rod bracket, and threaded mounts. 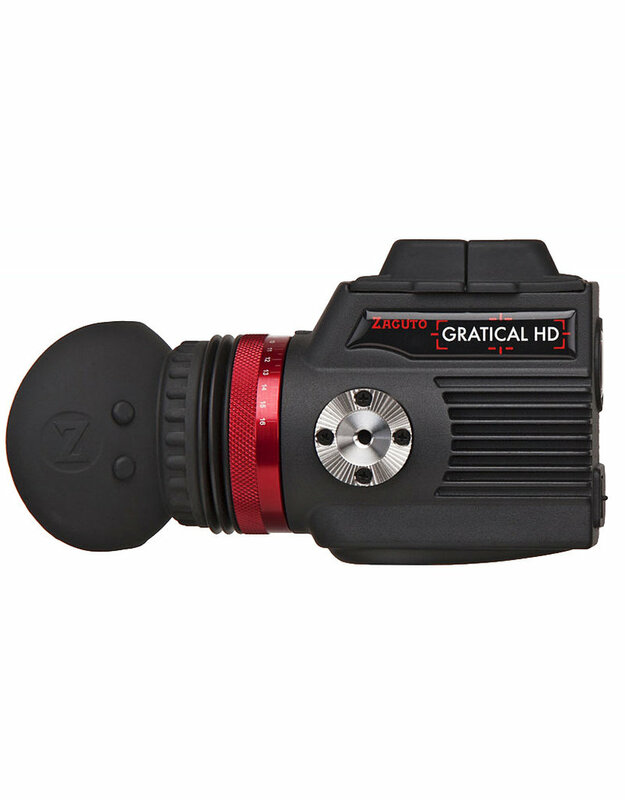 The EVF incorporates both SDI and HDMI loop-through inputs/outputs and can cross convert from HDMI to SDI. It also supports peaking, false color, and test pattern generation as well as LUT creation and import. You can also select to view/display audio meters. 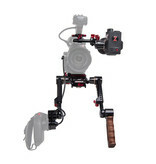 The unit features four user-programmable buttons for often-used menu selections, and supports multiple frame rates. 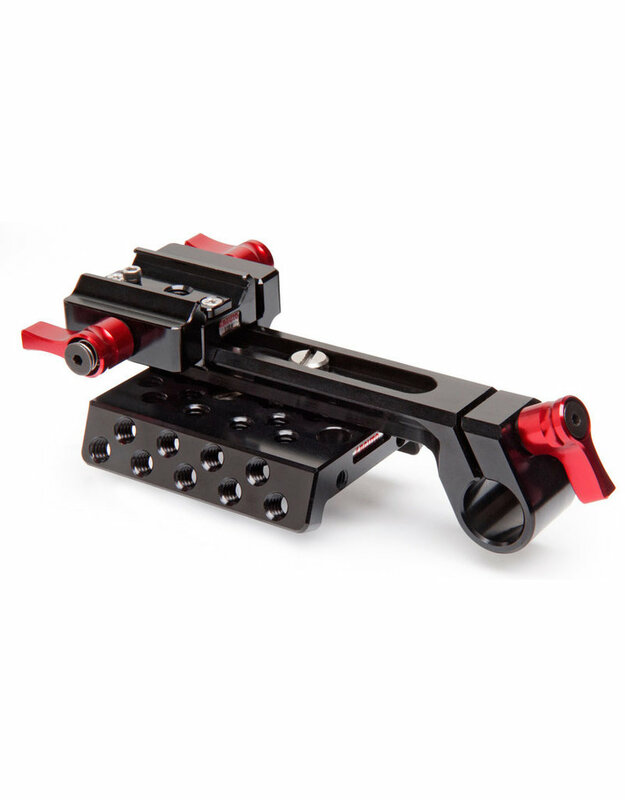 Zacuto has designed the entire optical path, providing a diopter that is adjustable from -1 to +4. 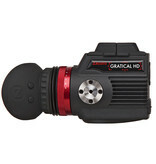 The optical path includes an automatic light trap that can prevent damage to the EVF from accidental exposure to direct sunlight. Incorporating an ARRI-compatible rosette and a 1/4"-20 mounting hole provides a variety of means to mount the EVF to your camera. 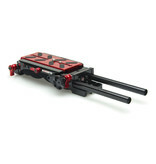 The EVF powers from a single LP-E6 type battery, and this 1800mAH battery provides approximately four hours of constant run time. 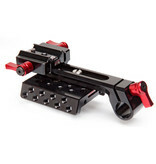 A versatile and adjustable means for attaching a rosette-mounted EVF to your camera, the Zacuto Axis Mini is an ENG-style mount that is designed to attach to the top of your camera setup and provide you with ample room for adjusting focus or working with large lenses. 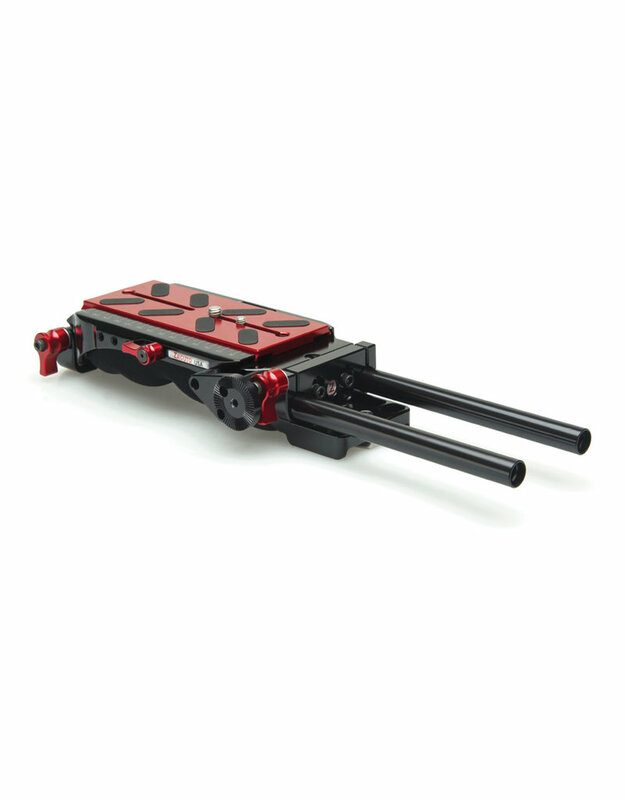 It attaches directly to rigs fitted with a 15mm rod port and then connects with EVFs, such as the Gratical HD, using a secure 1/4"-20 rosette mount, or can also be used with 1/4"-20 screw mount EVFs with the separate Quad Rail for mounting.